Jake is twelve years old and in seventh grade, battling all the social minefields that it entails. He is also still dealing with his mother's death four years before, and now has some control of his dreams. That allows him to avoid a mean kangaroo in his dreams just as he avoids the bullies in school. 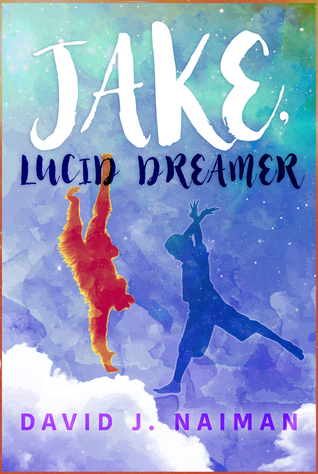 Jake is a mixed race child, as his deceased mother had been of Chinese descent. It's nice to see that in a story, and explicitly stated, because that would be something for other mixed-race children to connect with. It's just another facet of his upbringing, and a piece of information about his mother as he remembers her. He's like other boys his age, sometimes mean to his younger sister, sometimes thoughtful, sometimes self centered. As with most bullied children, he has a keen sense of how interpersonal relationships and power plays will turn out. This allows him to get out of some difficulties at school, and may inspire other middle grade readers to think on their feet and avoid fights. "There are all kinds of boxes. When people see you in a certain way, it’s difficult to get them to realize there’s more to you than that. You wind up buying into it and acting the way they expect you to." There are some really good concepts about grief, friendships, family, relationships and love in this book. It's parsed in language children can easily relate to, but the concepts would apply to everyone. The second half of the book especially deals with the tougher kinds of emotions and nearly had me in tears at the very end. I really enjoyed this book and the way that Dr. Naiman approached children processing their memories, grief and tougher emotions. He really captures Jake's struggles with this, and the importance of family support.